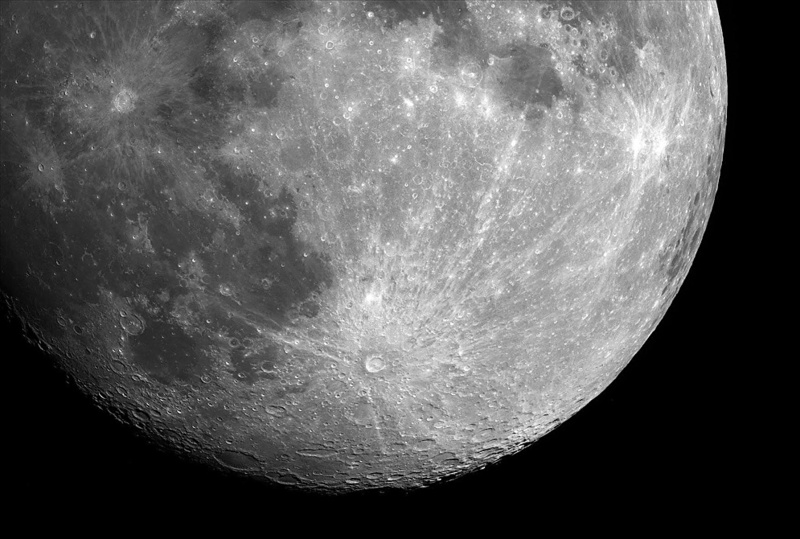 Explanation: Dazzling in binoculars or a small telescope, the Moon is pocked with impact craters. During partial lunar phases, the craters along the terminator are cast in dramatic relief by strong shadows. But when the Moon is full some craters seem to sprout systems of bright radial lines or rays. 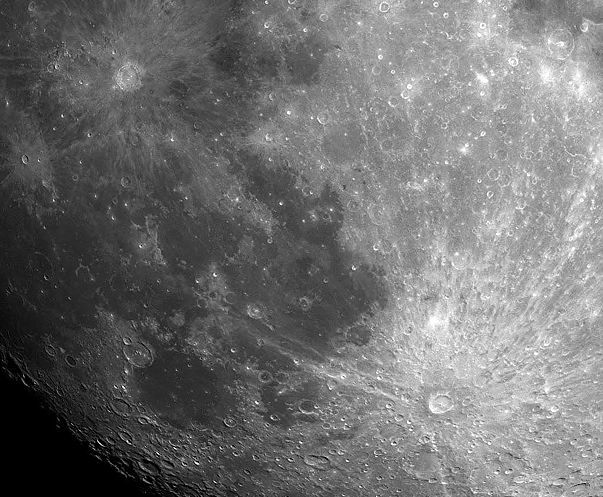 This detailed digital close-up of the full Moon features two prominent ray craters, Copernicus (upper left) and Tycho (lower right), each with extensive ray systems of light colored debris blasted out by the crater-forming impacts. In general, ray craters are relatively young as their rays overlay the lunar terrain. In fact, at 85 kilometers wide, Tycho, with its far reaching rays, is the youngest large crater on the nearside. Crater Copernicus, surrounded by dark mare which contrast nicely with its bright rays, is 93 kilometers in diameter.